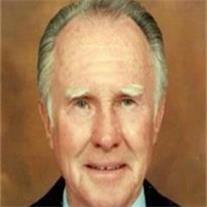 Gardner, Guy M, 86 of Mesa, AZ passed away on August 27, 2009. Guy was born July 10, 1923 in Snowflake, AZ. He is survived by his loving wife, Afton, and his children, Edd, Ron, Teresa (Burkie) Wurts, Lance (Marti), and Lisa (Danny) DeWitt, 17 grandchildren and 14 great grandchildren. Guy was a plastering contractor for 52 years. Served faithfully in the LDS Church and was a temple worker in the Mesa LDS Temple. Guy was beloved by his family, friends and all those who knew him. A viewing will be held Wed., Sep 2, 2009 from 6PM to 8PM at Bunkers Mortuary, 33 N Centennial Way , Mesa , AZ. Services are Thurs., Sep 3, 2009, 10AM at the LDS church, Mesa North Stake Center, 733 E Brown Rd., Mesa, AZ. Interment is at Mesa Cemetery .